We know that Madden NFL 13 on Wii U isn't going to offer all of the features seen in the 360 and PS3 editions of the game, but it's only now that the reason for this is becoming clear: the developers only had half a year to make the game. The amazing dev schedule has been revealed by IGN, who paid EA Tiburon a visit to check out the game. To put that into context, six months would be considered a short development period for most iPhone titles - yet this is a HD game which makes use of an entirely new interface in the form of the Wii U GamePad. Miraculous feats of programming aside, are you still interested in picking up Madden 13 in the knowledge that it lacks so much content that is present in the Sony and Microsoft versions? This is in my top 5 games i want to get for Wii U. Madden games are some of the most addicting games out there. So realistic and who doesn't like to lead their team to the super bowl? I'll just say EA isn't seeing any of my money for the foreseeable future. This article seems to suggest they build the title from the ground up in 6 months (comparing it to iOS titles), haha. That's funny. It was ported in 6 months. That's quite doable — although if it's a good port, good job I guess. Whoever doesn't have Madden by now should just wait for next year. It's already halfway through the 2012 season. Sports games just seem like they are only worth it if you get them before the real-life regular season starts. EA is the worst gaming company in the world. Their greed knows no bounds. If everyone in their company all of a sudden came to an abrupt end of days I would shed not a single tear. I lied; possibly a tear of joy. Pretty impressive I would say. The physics aren't "real" in the game, but everything else like character, stadium models were ported probably. Then just added the new animations that play and look the same mostly(maybe?). The gamepad was probably the most worked on, and honestly, Nintendo is making me want to play Madden and CoD. I'm not a fanboy(have the other consoles besides Xbox, just sold), but Nintendo always makes games more accessible imo. I wouldn't doubt seeing all MAJOR games ever released on a Nintendo console, all in the eShop by the time the Wii U's life is over. Plus 3DS just adds fun to the console if they decide to support more than just Monster Hunter with the crossplay. I'm pretty excited to see what's in store(punny), when it comes out, and it will definately be my main console until Sony and Microsoft "steal" part of the thunder from Nintendo. Good days ahead! How hard is it to copy and paste! Not that impressed really! There's a difference between "miraculous feats of programming" and "making a very lazy port", you know. It's running on Madden 12's game engine. They took last year's (HD, it's nothing new any more) game, threw in the new rosters and slapped on few touchscreen gimmicks. It's a cheap cash in! 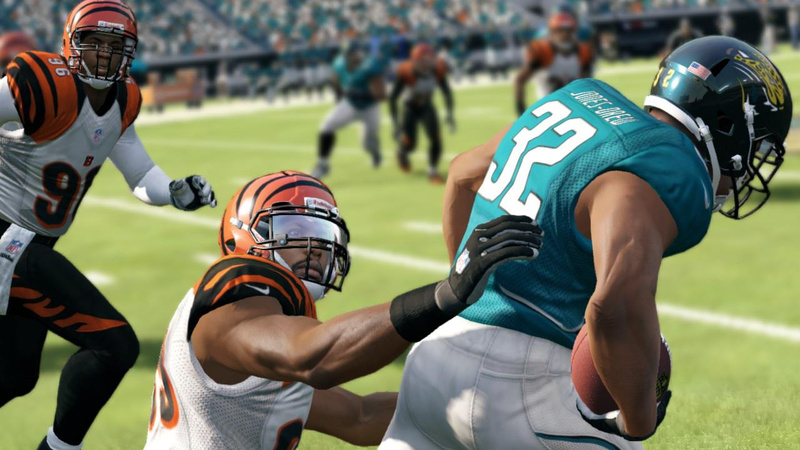 Madden 13 was the first game to feature the Infinity Engine. It's a game-changer for the series and the single most important thing for this year's release. I'm sorry, but a few touchscreen additions doesn't make the fact that this is a game with a full retail asking price, and one that's running on an outdated game engine. Nope. I got a 360 with Madden 13 already. I'll wait for next year's version..
Judging by the amount of effort EA seems to put into Madden every year, six months actually sounds like an extended development period. Cool. Well I haven't seen any videos, but it already looks better than the other systems version in terms of graphics. 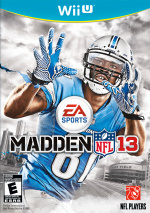 Maybe I should just wait til the REAL Madden 14, when they have a year or so to make a full game from the ground up.